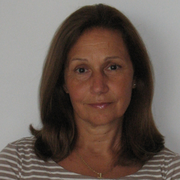 Claudia V. Angelelli is Professor and Chair of Multilingual Communication at Heriot-Watt University, UK and an Emeritus Professor of Spanish Linguistics at San Diego State University, US. Her research sits at the intersection of sociolinguistics, applied linguistics and translation and interpreting studies. She is the author of Medical Interpreting and Cross-cultural Communication (Cambridge University Press), and Revisiting the Role of the Interpreter (John Benjamins) and the co-editor ofTesting and Assessment in Translation and Interpreting Studies (John Benjamins). She is the editor of special issues of The International Journal of the Sociology of Language (2010- Translators and Interpreters: Geographic Displacement and Linguistic Consequences), Translation and Interpreting Studies (2011-The Sociological Turn in Translation and Interpreting) andCuadernos de ALDEEU (2013- Minding the Gaps: Translation and Interpreting Studies in Academia). Her work appears in The Annual Review of Applied Linguistics, The Critical Link, Cuadernos de ALDEEU; Interpreting, META, MONTI (Monografias de Traducción e Interpretación), The Translator, TIS (Translation and Interpreting Studies), The International Journal of the Sociology of Language and numerous edited volumes. Prof. Angelelli is the President of the American Translation and Interpreting Studies Association and she has served as Director of The Consortium of Distinguished Language Centers and Director of the American Translators Association for 6 years. Currently she is the World Project Leader for ISO Standards on Community Interpreting.